Kefalonia (also spelled Cephalonia) is the administrative centre of the Ionian Islands, as well as being the largest island in the group at just over 300 square miles. 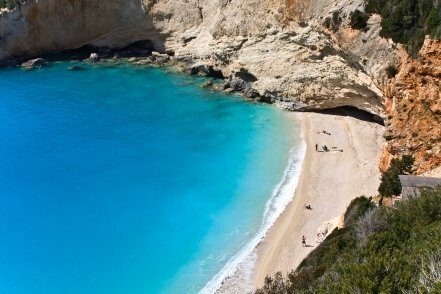 Kefalonia has some of the best beaches in the Ionians, with some of them being so picture-perfect they are widely used in Greek tourism adverts and literature. The capital is Argostoli, in the south of this strangely-shaped island, and here you’ll find a couple of enjoyable museums and a pleasant waterfront. 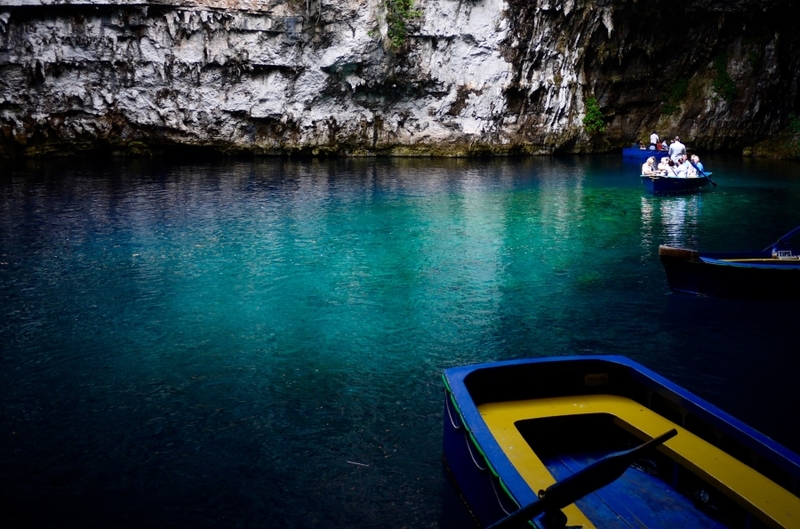 Kefalonia also offers mountain hiking, a show cave at Drogorati, the Melissani cave which shelters an underground saltwater lake, and the beautiful town of Fiskardo, on the northern tip of the island. 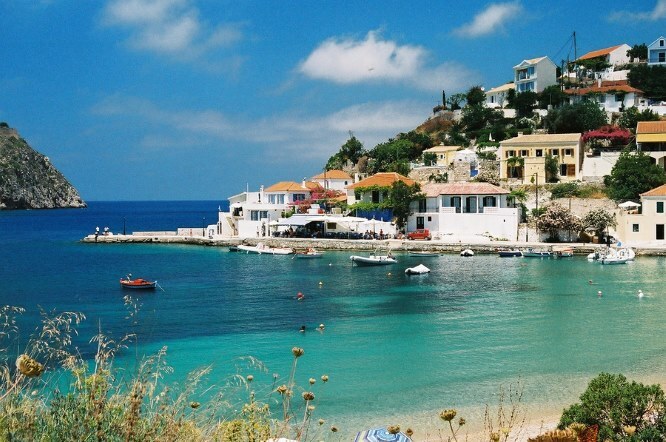 Kefalonia does have an airport and there are charter flights from many European destinations in the summer. 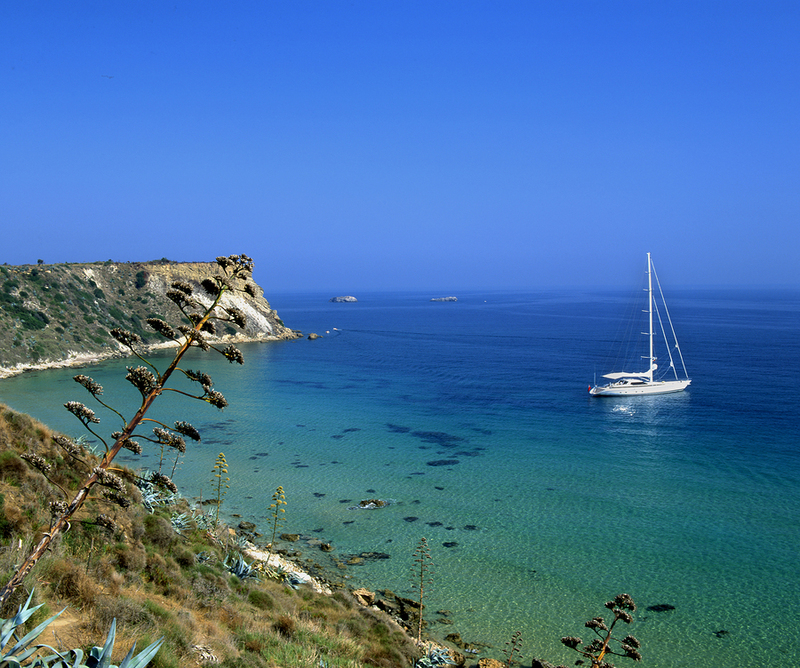 There are also flights to Athens and (seasonally) to Thessaloniki with Aegean Airlines. Sky Express flies to Preveza (for Lefkas) and to Zakynthos. There are ferries to Kefalonia from some of the other Ionian Islands (though not direct from Corfu), and from some of the mainland ports too. Note that Kefalonia has several ports, including Sami, Fiskardo and Pessada, so always check where your boat will be arriving or leaving from. To get from Pessada to Fiskardo involves driving the entire length of the island, a trip of about an hour if driving direct, and much longer is using the bus as you have to go into Argostoli and change buses. From Pessada there are daily ferries in summer going south to Zakynthos. From Sami on the east coast ferries go to Patras on the Peloponnese and to the island of Ithaca. From Fiskardo there are ferries to Ithaca and north to Lefkas. As with everywhere else in Greece, ferry timetables and ports do change, with more sailings in summer than in winter, so always double-check your information and plans.